Disclosure: I use affiliate links, so I do earn from qualifying purchases at no cost to you. 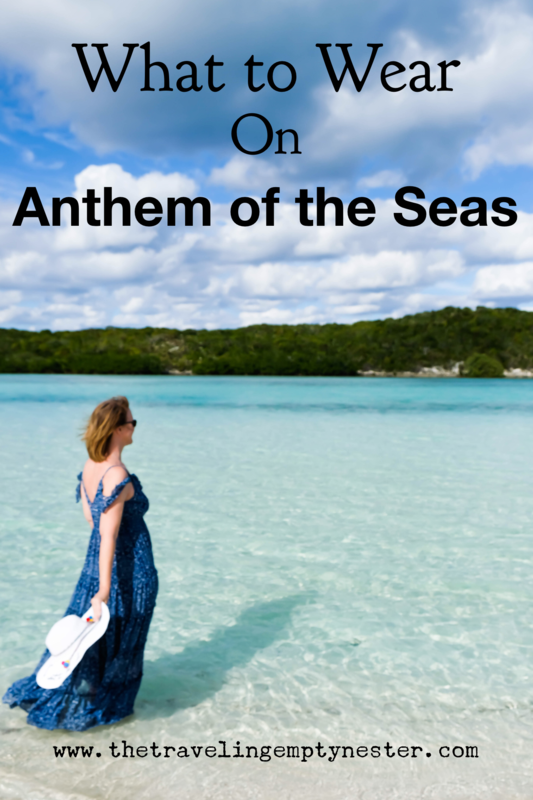 Next week, I will be cruising on Royal Caribbean’s Anthem of the Seas. My husband and I are finally getting to travel together! Yep, you read that correctly. It hasn’t happened much this year, so we sat down to work out our schedules to fit in this trip. This will be our first time on this class of ship, so we’re really looking forward to it. Even though we’ll be cruising to Bermuda (think warm weather, beaches, snorkeling! ), we’ll be leaving from New Jersey in October. This means the weather can vary dramatically between the time we leave and the time we return. The last time I cruised out of New Jersey, it was in the 80’s for our sail-away, but in the 40’s when we returned due to a cold front! And no, I was not prepared. It was not a fun way to end what had been a wonderful trip. Since the weather could be cooler in New Jersey in October, layers will be key. Even though the cruise is headed to a tropical location, the weather in New Jersey during this time of year can change quickly. I plan to use clothes that I can re-wear for embarkation and disembarkation, adding or taking away layers as I need. We are flying to New Jersey the day before the cruise, so I also need to plan for dinner the night before the cruise and it could be potentially chilly for this Texas girl. I’ll probably end up in jeans and layers since I’ll be unsure of the weather when I return. My favorite style of jeans come from AG. I find my jeans getting pricier as I get older, but they last longer and they fit in the right places. I have a problem finding jeans that fit my hips AND my smaller waist. These jeans fit both! I’ll probably layer with a top I can wear on the cruise and a light jacket or sweater. I already own this green utility jacket and it gets a lot of wear here in Texas, as it never really gets too cold here. Added bonus: it’s on sale! Each time I cruise, I am learning to pack less and more efficiently. Unfortunately, space I have been freeing up is now being filled with photography equipment that has to be carried on. Thank goodness my husband is coming with me this time! Days are spent in bathing suits/cover ups and nights are in sun-dresses or jumpsuits now. I don’t worry about formal nights like I used to. 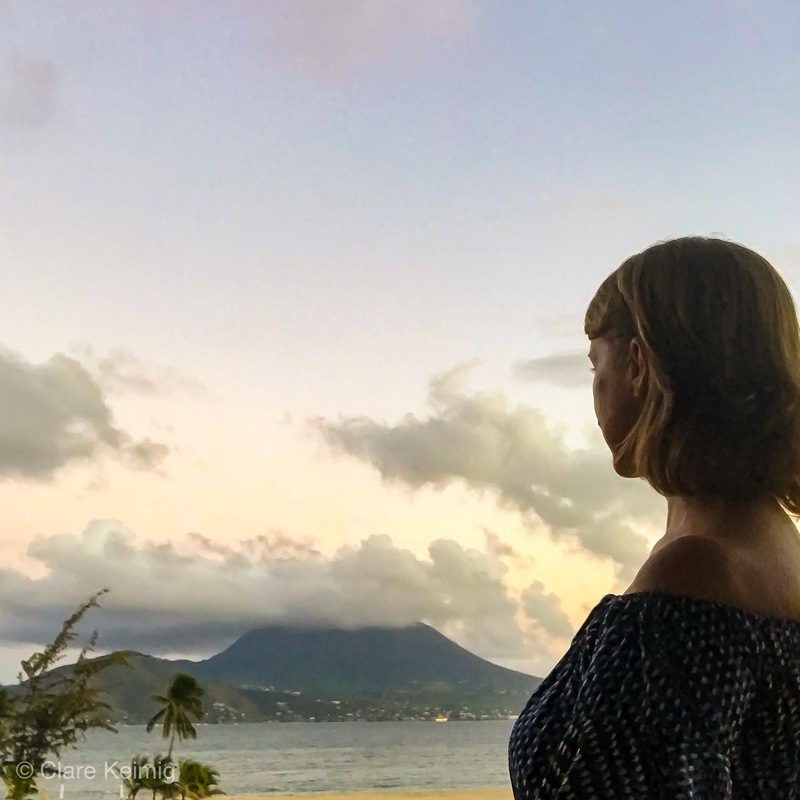 The Milumia Women’s Boho Off The Shoulder Swing Maxi Dress is a staple I use often on my tropical trips. Super light-weight and comfortable with a painless price-tag, I get lots of compliments on this dress! Misa is a brand I absolutely love and travel with. These dresses are lightweight and easy to pack, without worrying about wrinkles. Just roll and go! 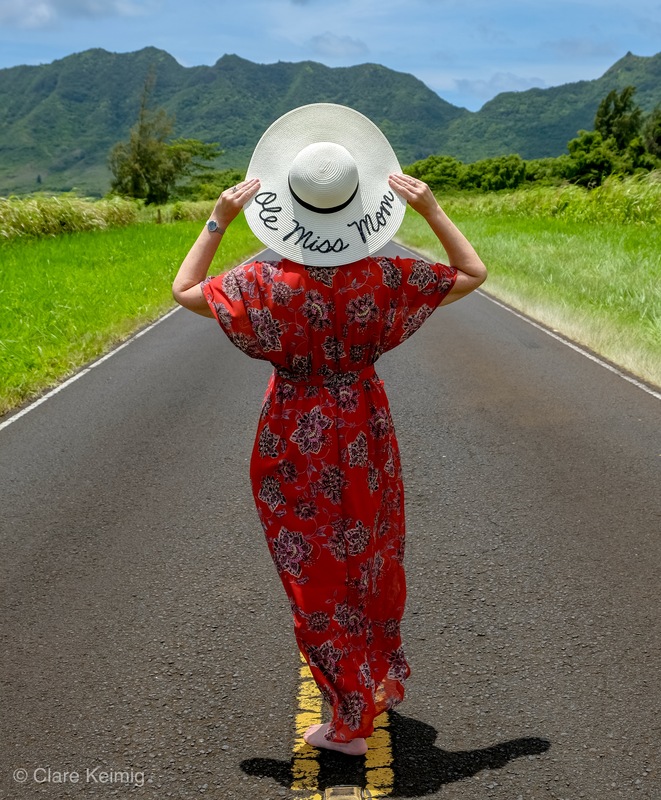 I have found that if I really want my photos to pop against the gorgeous backdrops of the Caribbean or Hawaii, red seems to be my go-to color. This romper is similar to the dress I wore in Hawaii for photos and can’t be beaten for the price and packing simplicity. Temptation Positano is a new brand for me that I have fallen in love with! 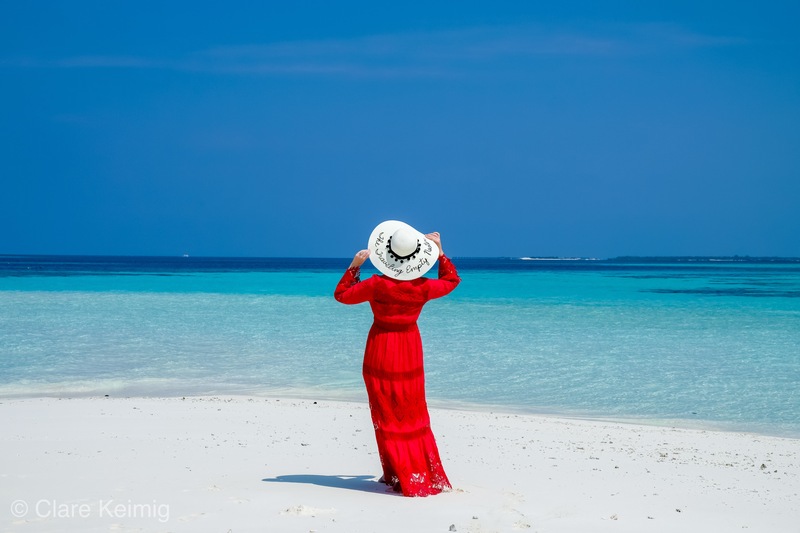 It is a little pricier, but I have been able to get lots of wear out of these dresses, dressing them up for a formal evening on a cruise ship or using it as a cover-up like I did in the Maldives. I have this exact dress in red, but am eye-balling it in cobalt blue and white! 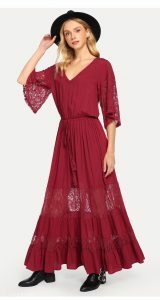 However, I found an almost exact dupe of my red dress on Shein.com! The actual dress is redder in person than burgundy and the price point is perfection! For easy formal nights that don’t feel stuffy, I am a huge fan of jumpsuits. I just purchased this Catherine Malandrino Rosina jumpsuit for our upcoming trip and I can’t wait to wear it! 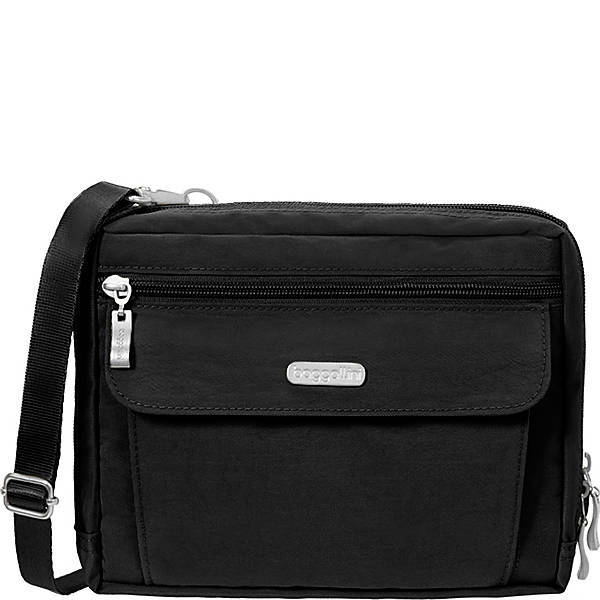 I’ve been using a Baggellini crossbody bag as my everyday travel bag for years! This sucker has held up beautifully, even after washing it in the washing machine. It has slots for credit cards, my sea-pass card, money, and any extras I need to bring along with me. I have serious love for this bag! While the above list includes most of the items I will wear, It doesn’t include the items I bring for photography. I covered that in a different post that you can find here “My Photography Equipment Favorites“. I’ve come a long way when it comes to packing. I’ve learned that it’s okay to re-wear items, especially when cruising. Unfortunately, the space I have saved has been filled with electronics, so at some point, I’ll need to figure out how to travel more efficiently with my camera equipment. What is your packing style? And the most important question of all? Roller or folder? Roller, of course! It saves so much space with little or no wrinkles!